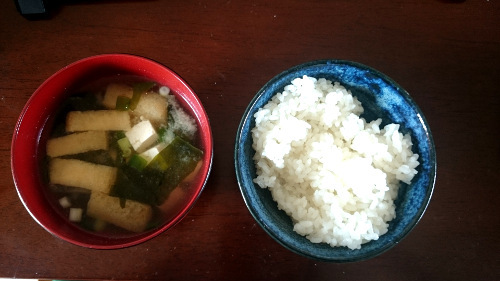 Miso soup is the basis of a traditional Japanese breakfast and you can find it with a lot of meal sets. It’s light, healthy and tastes good. For some of the ingredients you will probably have to visit an Asian supermarket but hopefully they are not too hard to find. 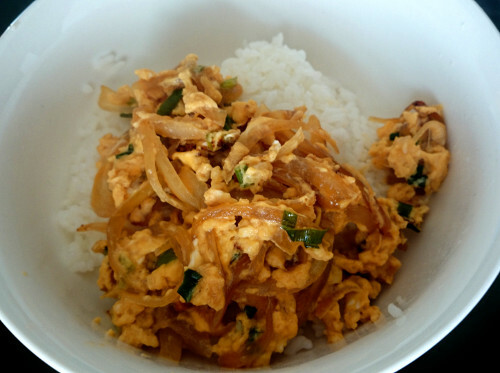 Cut the deep-fried tofu into thin slices and add them to the dashi. Heat it up until it boils. 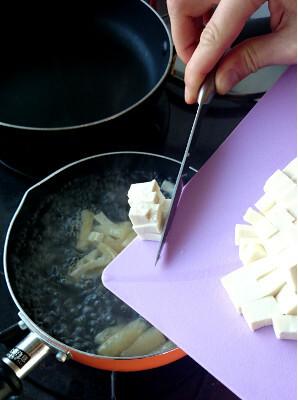 Meanwhile cut the tofu into small squares. When the dashi boils put some of it into a small bowl and dissolve the miso paste in it. Add the tofu to the soup, then turn off the gas and slowly add the dissolved miso. 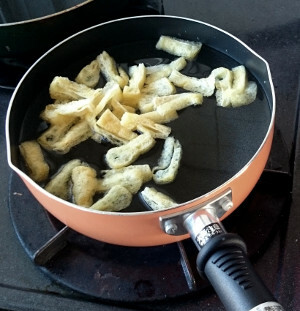 Turn on the gas again and add the wakame. When the soup has a bright color add the cut spring onion. Add the extra ingredients according to the time they need to be boiled. 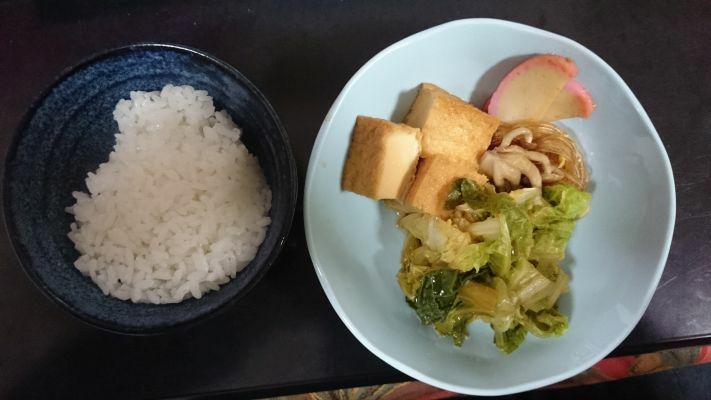 You can eat the miso soup with rice and other side dishes like tamagoyaki (rolled fried egg), sauteed vegetables or anything else you like. Yamaimo is a plant very specific to Japan and other East Asian countries with some curious features that justify special mentioning. The name means “mountain yam”, probably because it can be found in the mountains. One can only imagine how a long time ago somebody thought to themselves: “This thing makes my skin itchy when I touch it, I should put it into my mouth.” A decision that can only be topped by the Icelanders thinking: “Shark meat is poisonous, we should pee on it, bury it for several months, and then eat it.” (Complains the German who thinks stuffing an animal into its own intestines makes it irresistible) Yamaimo is said to be extremely itchy when you put it anywhere but in your mouth. I wonder if anyone has ever tried using it for pranks. Its taste is rather flavorless but it is used for various side dishes. 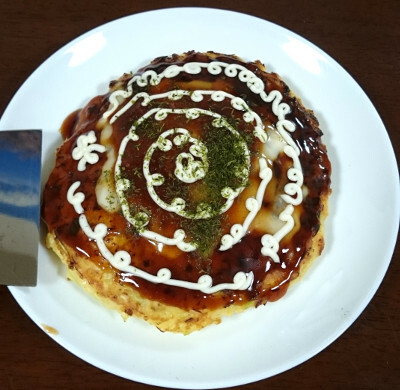 Its second feature is the high concentration of starch which makes it, when grated, a thick, incredibly sticky paste that is used as a natural adhesive in sweets or, in our case, in Okonomiyaki. 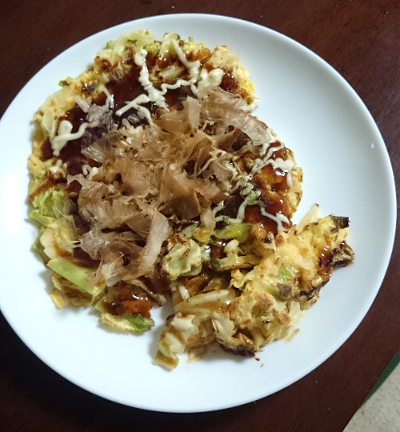 Okonomiyaki means literally bake what you like and that is what makes it so great. 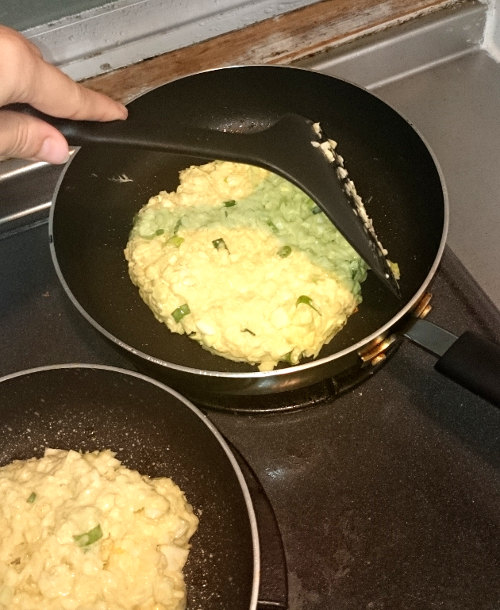 The base recipe is quite simple and you can add whatever you like and think will taste good. We make it at least three times a week. 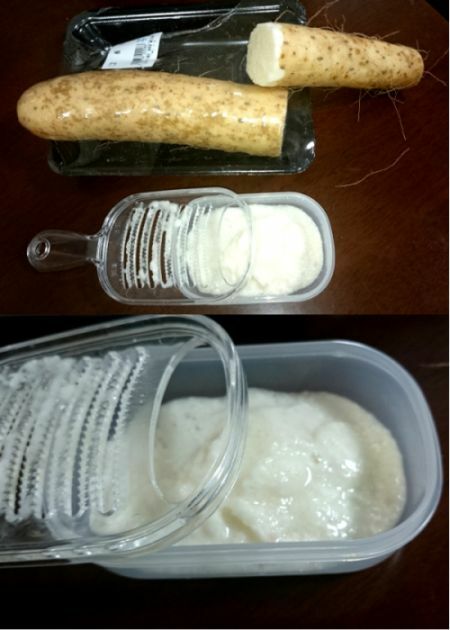 Here is the base recipe, with some recommendations of what to add. Make a dough out of the flour, water/dashi and yamaimo. 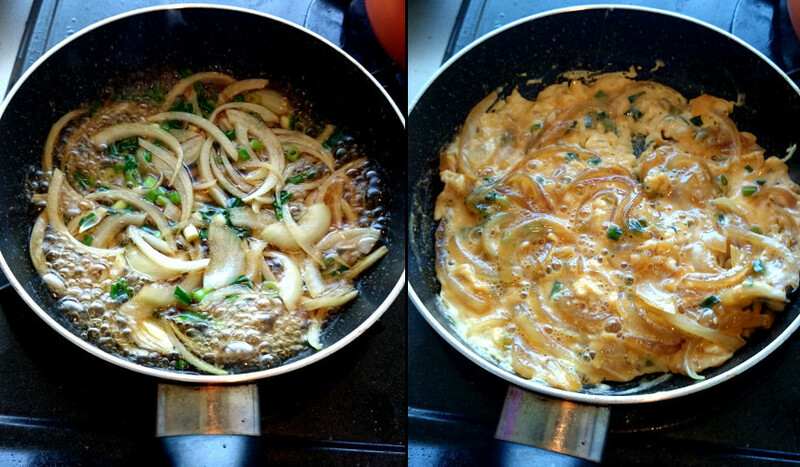 Add the cabbage, tenkasu, spring onion, salt, pepper, optional ingredients and lastly the eggs. Mix it. Mix it some more. Grease your pan/heat-plate and put half the dough on it. 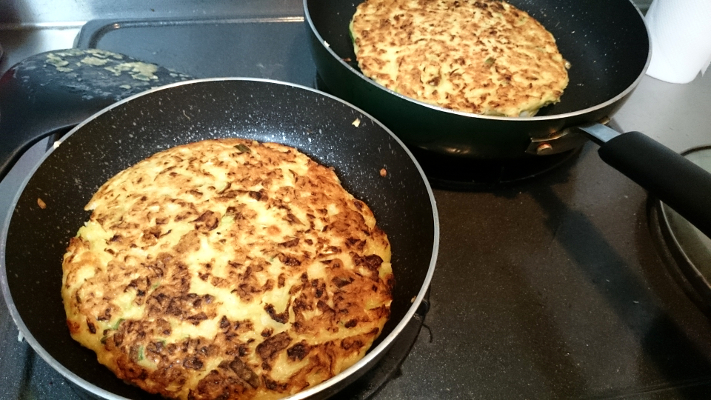 Use a spatula to shape it nice and round, approx. 2cm thick. Let it bake for 3-5 minutes, then turn (after adding bacon, if you want). Optional: Watch it fall apart like your heart after your first breakup. Don’t worry, practice makes perfect. 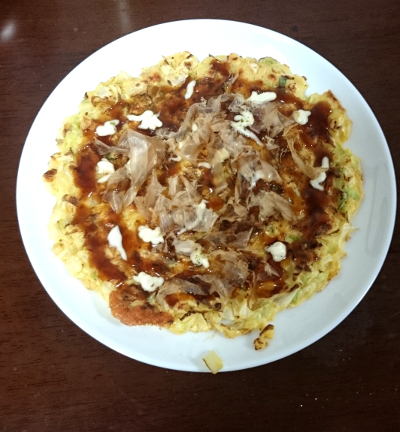 I have added some pictures to show our own progress in Okonomiyaki-making. Bake it another 3-5 minutes. Now is the time to add the cheese. Remember: There is no such thing as too much cheese. Put it on a plate and repeat with the other half of the dough. Top with sauce, mayonnaise and, if possible, the other toppings. 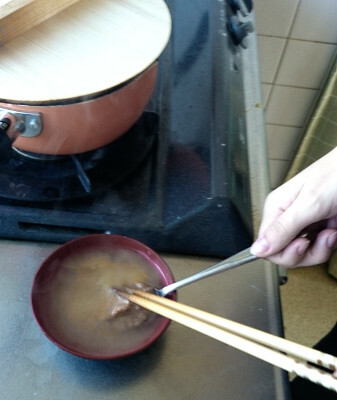 Since winter is the perfect time for Nabe and also we recently tried it with satisfying results, I am sharing my awesome Nabe recipe with you. 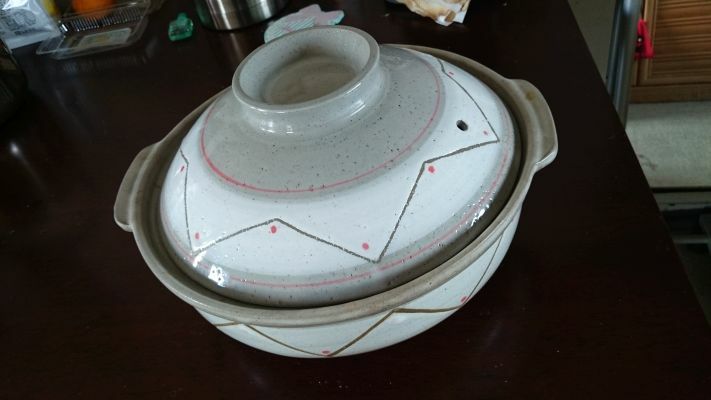 If you do not have access to a Nabe pot, use a pot with thick walls that keep the heat in. Wash the Hamaguri in salt water. Peel the shrimp. 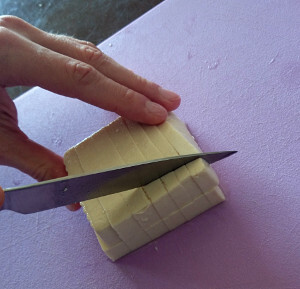 Cut the Kamaboko into 1cm thick slices. Cut all the other ingredients into pieces. Mix the ingredients for the soup, boil them and fill them into the Nabe pot. Put the other ingredients into the pot in the order of their necessary cooking time. Squeeze out the Sudachi juice over everything. Then you just cook it until it’s done. Nabe is great for preparing right at the dinner table in case you have a cooking plate for your table. 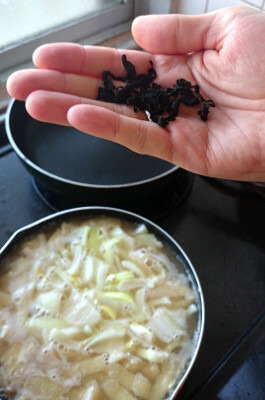 Dashi is the basis for many soups, e.g. Miso soup or the soup for Nabe. The easiest way to make dashi is just using instant powder but you can also make it by boiling a layer of konbu (dried kelp) and/or a handful of bonito flakes (katsuo bushi) in water (1-1,5l) for a while and then filtering the water through a screen. Since we are way too lazy to filter it we just use disposable teabags for the bonito flakes. 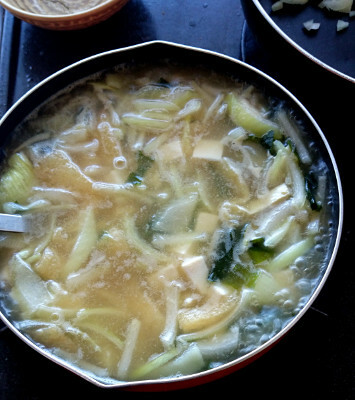 Dashi is said to be very healthy since it absorbs all the nutrients from the kelp and the bonito.